Google’s SEO and digital trends of 2017 have been helping businesses improve their marketing strategies so far, and if you need to catch up or get ahead of your competitors, there are some important things you should be thinking about. Elements like site speed, ranking factors, and Google SEO trends should be considered as you improve your marketing strategy to have a better impact on your users. Check out the following SEO checklist to make sure you are looking at every possible area to grow your business online. 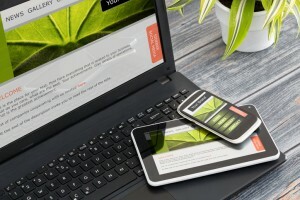 Most people today use their mobile devices to do searches on Google, but ranking systems still observe the desktop version of a web site’s page to evaluate its relevance to the user. If the mobile page has less content than the original desktop page, this can cause issues. So, to make results more useful, Google has implemented mobile-first indexing. This shift has improved user experience by using the mobile version of a web site’s content to rank pages from the source. This creates a great search experience for users no matter what device they are using. If you’ve wondered what the benefit of HTTP vs. HTTPS is, here’s a simple way to look at it. HTTP or Hypertext Transfer Protocol allows communication between different systems. This system transfers data from a web server to an Internet browser so that users can view and access web pages. The difference between HTTPS and HTTP is, is that HTTP data is not encrypted, and can be maliciously intercepted by third parties to steal data that is being passed between the two original systems. This is what makes HTTPS for web sites the safer and more trusted option. HTTPS allows the same data transfer between two systems, but provides added security for the transference of sensitive data such as banking information, passwords, and home addresses. The main goal of Google is to provide its users with the absolute best experience possible on their search engine. This experience is the core product of the giant, and their success is directly linked to the money they make from accurate and effective search results. Their end goal is to make sure their users are satisfied with the content they discover. Schema markup, a new SEO webmaster tool, is currently one of the most powerful but least used forms available today. It is something all businesses should implement as you can boost your web site in the search engine result pages (SERPs) by using it. Schema markup is a code that you can put on your web site, which helps search engines generate more informative results for browsers. For the user, this is extremely helpful as it brings the information they are searching for right onto the search results page. Users can easily find out what a web site is about, where they are, what they do, how much products cost, and more. Marketers can get strong insights into their users’ actions and interests with personalized usage and user data. But marketers and users both tend to forget that search almost always implements personalization. Google can use users’ search history, location, or elements like these to auto-suggest relevant content. Social connections can also have an impact on this, as Google can find ways that you connect to others and how that may influence users’ search results. 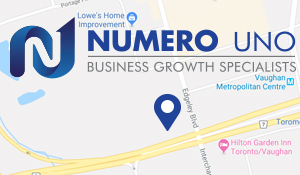 If you want even more SEO tips to improve your business on Google, Numero Uno Web Solutions can help you. We provide our clients with the best marketing solutions available, from social media optimization (SMO), to content auditing, to online reputation management, and much more. Our content marketing agency in Toronto specializes in helping small- to medium-sized businesses improve their web sites. We have helped our clients across the Greater Toronto Area, Texas, Massachusetts, and Florida, boost their marketing strategies and grow their businesses. Call us at 1-855-SEO-XPRT to learn more about the services and expertise we provide.